Growing up, we were warned about the dreaded plant that loomed in the forest surrounding our cottage. Poison ivy was a commonly used name in our family, and at a young age we learned how to identify it to avoid any nasty encounters. "Leaves of three, let it be." played over and over in our heads as we explored. 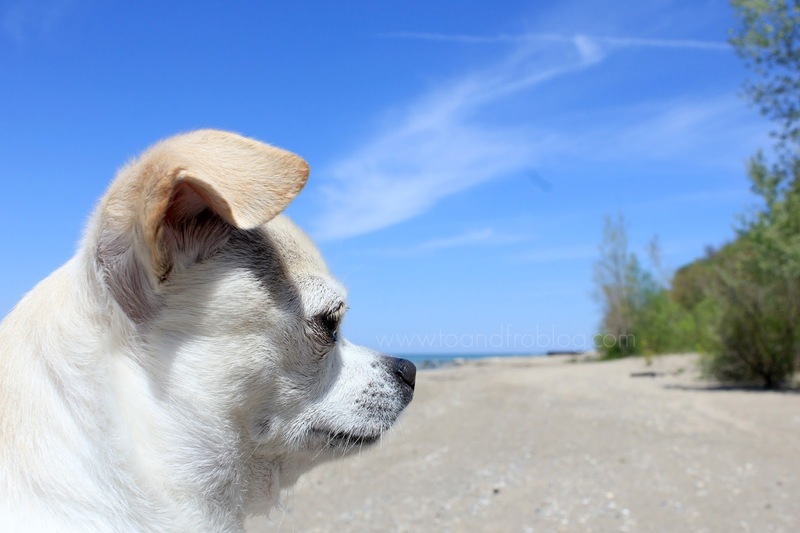 My dog LOVES the beach. If he could talk, he would tell you it is one of his favourite places in the world. Last weekend, the two of us went for a walk on my parents' beach. The usual routine - he leads, I follow. The ice wrecked havoc on the trees this past winter, and what is left can be seen scattered across the sand. Titus was up ahead, navigating the fallen trees like a pro. One tree in particular was a lot bigger than the others, causing us to veer off the sand and into the more vegetated part of the beach. Titus was past it in a flash, but as I approached, I looked down at my feet and let out a little scream. "Leaves of three, let it be", I said for the gazillionth time in my life... and Titus had just walked through it. Great. Do you know how hard it is to try to entice your dog away from his favourite spot in the world, without touching him? Challenging. But we made it, and straight into the tub he went. What is poison ivy? Poison ivy grows throughout wooded areas North America. The plant, which is not actually an ivy, likes shaded areas and can grow as a shrub, ground cover or climbing vine. To the untrained eye, the plant can be difficult to notice when you're walking around the woods. With its characteristic three almond-shaped leaves, the plant ranges in colour from light to dark green, or a reddish colour towards the end of summer. 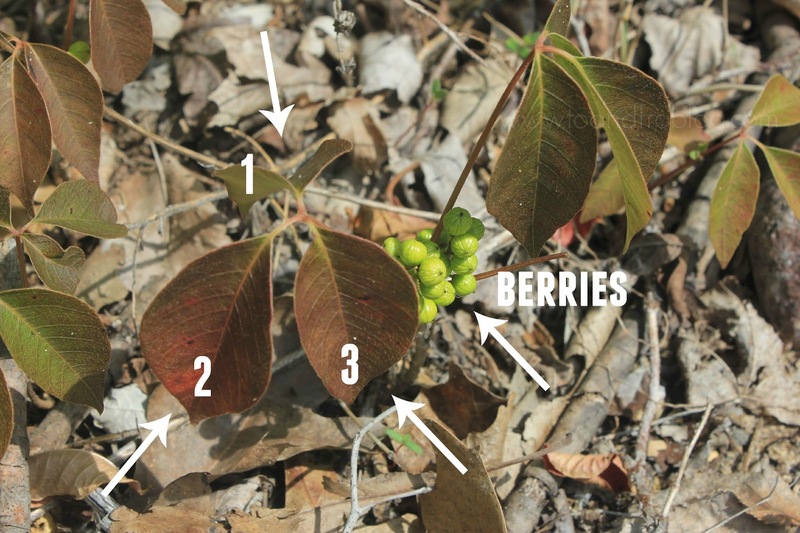 It produces flowers in the spring, and in the summer, small, round berries form. 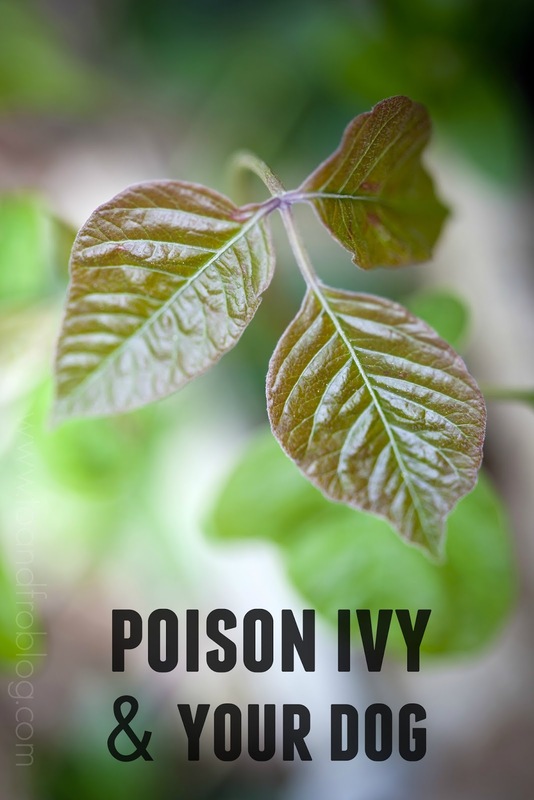 The 'sap' of poison ivy is what raises the alarm - it contains an oil called urushiol, which helps the plant retain water. When the urushiol oil comes in contact with human skin, it causes itching, irritation and a painful rash. What do I do if my dog comes in contact with poison ivy? The good news is, thanks to their thick coats, dogs rarely react to poison ivy like humans. However, that does not mean you're in the clear. If not removed, the urushiol oil can stay active on any surface, including your dog's coat, for long periods of time. And if you just happen to sneak in a cuddle before bed after a day in the woods, well, it could spell trouble for you. If you must touch your dog, make sure you are wearing gloves. Avoid touching your face, and other exposed parts of your body. Get your dog in the tub, wet them down, lather them up, rinse and repeat. 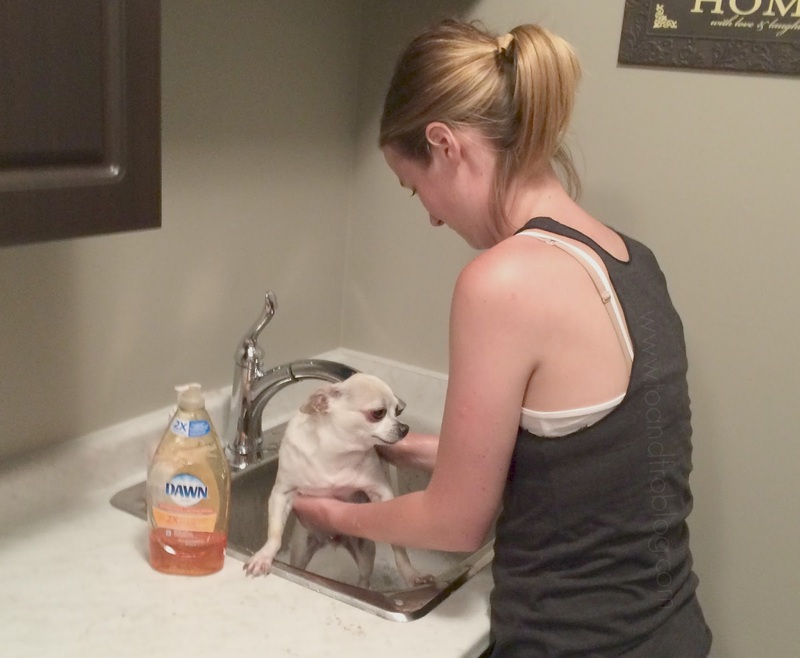 Wash the clothes you are wearing, and any towels used to bathe your dog. Wash your pet's leash and harness. Believe it or not, dishwashing liquid soap, such as Dawn, is the best soap to use when removing poison ivy oils because it was made to fight grease. It is important to remember, while a dog's coat provides physical protection from poison ivy, exposed areas where hair is thin or absent, such as the belly, inner legs and muzzle, can be affected. Make sure to give your dog a very thorough bathe, and then rinse and repeat. If they start to exhibit signs of an allergic reaction, a prompt visit to the vet is recommended. If all else fails, make sure to keep your dog away from any areas where you know poison ivy grows. If visiting a new area, like a campsite, do a quick surveillance to look for the plant and keep you dog on the leash at all times. Not a happy camper, but clean as a whistle. Have you ever had an encounter with poison ivy? This is such an important post! Thank you for sharing!